Many people ask the question: what is osteopathy? The also wan to know the difference between Osteopathy, Chiropractic and Physiotherapy and also what we treat. Osteopathy is a form of manual medicine created by Doctor Andrew Taylor Still in 1874 that treats pain and disability by working with the structure and function of the body. Symptoms are seen as the final manifestation of a dysfunction, not the cause. Osteopaths will treat the area of pain, but will also seek to correct any predisposing or maintaining factors to prevent the symptoms returning at a later date. 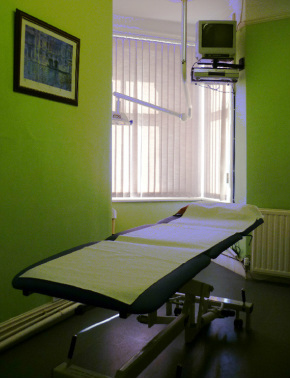 Treatment is performed by mobilising and manipulating the soft tissues and joints of the body. Osteopathy has an enormous range of techniques covering all areas of the body from the bones and soft tissues of the head, to the joints of the fingers and toes. Techniques also vary in intensity from very gentle cranial and soft tissue treatment to very focussed manipulations, allowing us to remain within your limits. This allows us to treat all different kinds of people effectively, from rugby players to young children and the eldery and osteoporotic.